We are looking for energetic people interested in science, new technology, and working with a small team of like-minded people. Contact our HR representative Lynnette at hr@nanoscience.com for more information on these positions. Please include a cover letter detailing how you are uniquely suited for the open position. A resume without such a cover letter will not be considered. 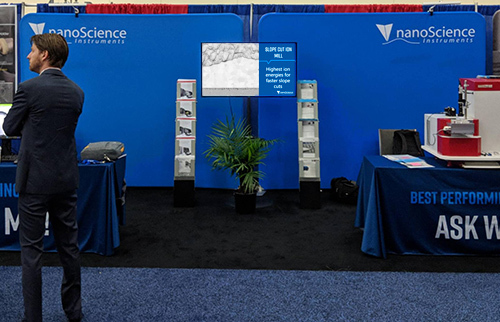 Thank you for your interest in a career with Nanoscience Instruments! Looking for a part-time job working with our applications team (using SEMs, AFMs, Profilers, Electrospinning etc) or working with our Service Team (repairing SEMs, documentation)? Or maybe you’re interested in technical marketing and scientific business development? Looking for a job now that might turn into full-time employment after graduation? Please send your resume and cover letter explaining your experience, goals, and interests. Note that you must be currently enrolled in a 4-year engineering or science program. Nanoscience Instruments sells and supports a variety of scientific instrumentation in the North America Region. Webinars, workshops, tradeshows and conferences.